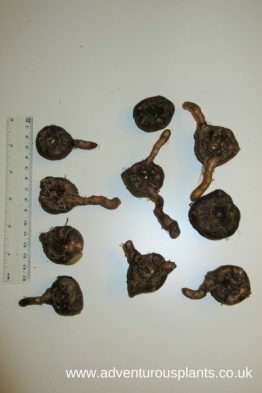 We only offer our Amorphophallus as dormant tubers. This means they are only available seasonally, usually from late autumn through to early spring. 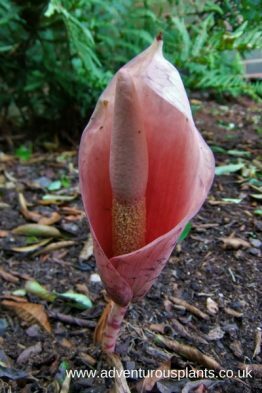 Best known for the Titan Arum, Amorphophallus titanum, the genus Amorphophallus contains over 200 species, many of which are very rare in cultivation, and others that are not in cultivation at all! Not all species are as huge as the Titan Arum: we are mostly cultivating dwarf species due to space constraints. We offer a small, but gradually expanding range of species. 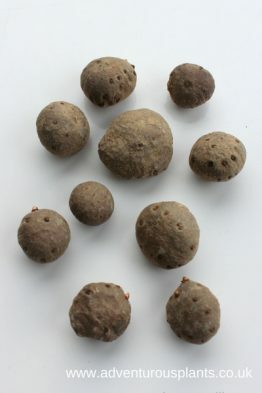 The tubers you see listed on this page are all raised in cultivation from seed or offsets (with the exception of Amorphophallus bulbifer leaf bulbils only- these we do bring in). 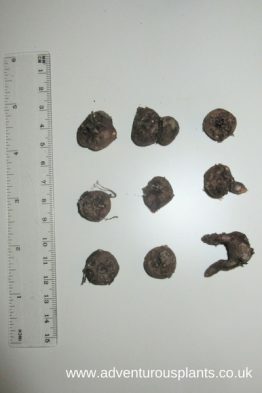 Other sources of tubers have been of mixed and unpredictable quality. Our tubers are first rate, lovingly grown and true to name.